The jaws of life are usually required to be used by emergency service providers to cut apart the vehicle wreckage in order for the emergency workers to be able to free those trapped inside the crashed vehicle. 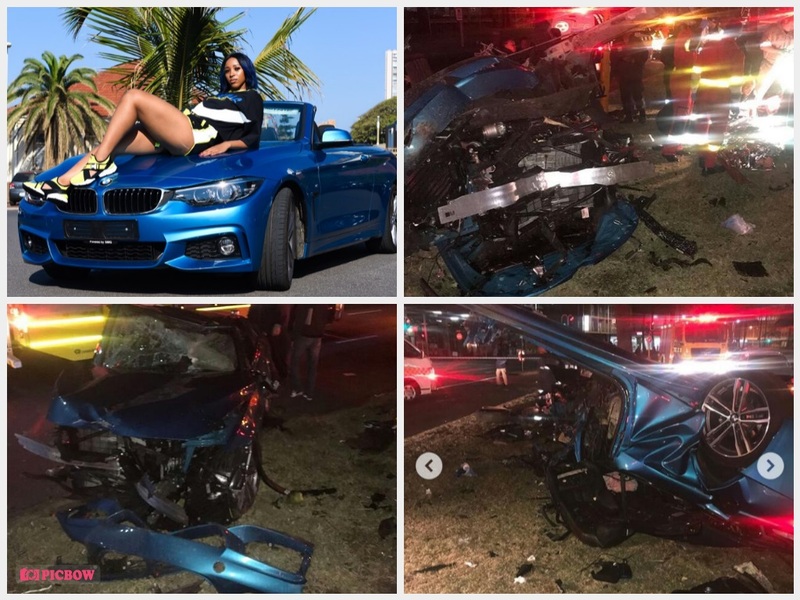 Rescue Care paramedics have revealed the jaws of life had to be used to free Durban’s popular fitness bunnie Sbahle Mpisane after her horrific crash on the Victoria Embankment at about 4 am on Thursday morning. Watch the demonstration below to see how the tool is used in case of emergencies. So horrific was the crash, that advanced life support was required by paramedics to stabilise the woman known for her fitness exploits. Garrith Jamieson, a spokesperson for Rescue Care Paramedics said: “A woman believed to be in her thirties has sustained critical injuries after the vehicle she was driving lost control and collided with a tree on the Victoria Embankment near the yacht mall in Durban around 4 am this morning. “Rescue Care Paramedics arrived on the scene to find the driver entrapped in the wreckage, she had sustained critical injuries and Advanced Life Support Paramedics worked to stabilise her whilst the Durban Fire Department used the jaws of life to free her,” said Jamieson. “The patient was placed on a manual ventilator before being carefully extricated from the wreckage. She was then rushed to a nearby hospital for the urgent care that she required,” he said. Mpisane’s father, Sbu, said he could not say much, but indicated that his 25-year-old daughter was still in a critical condition in hospital. Mpisane’s sportsman boyfriend, shot-stopper Itumeleng Khune, said on social media he was praying for his bae – which he referred to as ‘queeno’. The police are investigating a case of reckless and negligent driving. “Today at about 4:20 am, it is alleged that a vehicle crashed and burst into flames at the Victoria Embankment opposite the Wilson’s Wharf. The driver was injured and taken to hospital for medical attention. The cause of the accident is unknown at this stage. A case of reckless and negligent driving has been opened in Durban Central police station. Circumstances around the incident are being investigated,” said police spokesperson Colonel Thembeka Mbele.